There was a time when Manchester just didn't get pizza. Overpriced, greasy, and only served by high-street restaurants - for years it seemed like there were no decent places to grab a slice in the city. But all that's changed now, with new pizzerias popping up all over the place in Manchester. So whether you prefer it thin and crispy, deep and doughy or even with pineapple, Manchester is a pizza lover's dream right now. 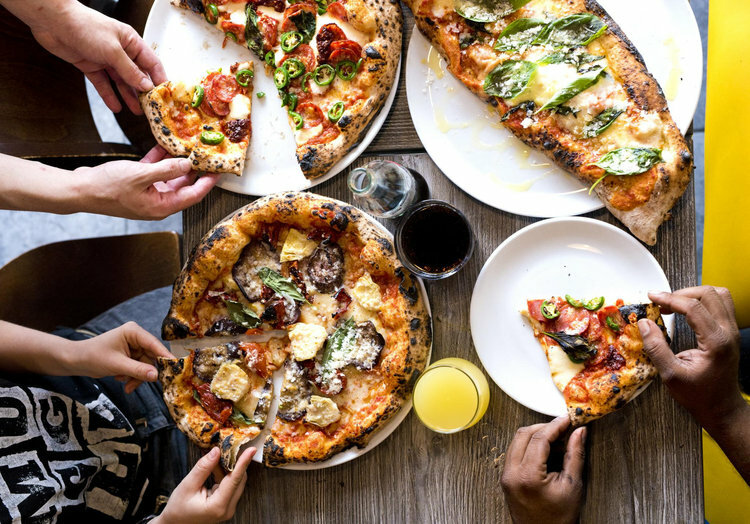 And to prove it, the City Pantry team have rounded up the best pizza places in Manchester you simply need to try. Mention the word 'pizza' to somebody born within the confines of the M60, and there's a good chance they're going to tell you about Rudy's. Serving up authentic tastes of Italy since 2015, the guys at Rudy's recently opened their second city centre restaurant to try and ease the queues that snake outside their Ancoats location. And there's no doubt about it, those queues were understandable. Whatever you've heard about this place, it's the truth. Rudy's is the holy grail of pizza in Manchester. 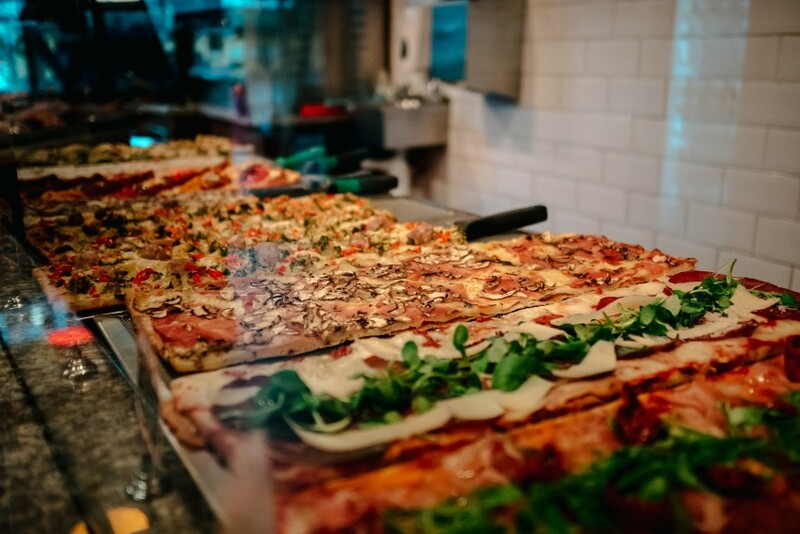 With an obsessive attention to dough, quality Italian ingredients and the most reasonable prices - we're not sure you'll find a better pizza place in the country - let alone in Manchester. Beginning life at Altrincham Market and now flourishing in the city centre at Mackie Mayor, Honest Crust have become a Manchester favourite purely because of their stunning sourdough bases. Fermented and proved for 36 hours before being hand-stretched and blasted in a bespoke wood-fired oven, Honest Crust take their time when it comes to creating their pizza. And you can taste this kind of care. It might just be the best sourdough base in Manchester, and the toppings at Honest Crust aren't bad either. Changing with the seasons so their pizzas never get boring, Honest Crust only keep a few favourites always on the menu. One of these is their portobello mushroom pizza, served with garlic oil and lashings of black pepper. It's simply perfection. Serving up downright wacky pizzas into the early hours, Crazy Pedro's specialise in the unexpected. Yes, you can get a pepperoni pizza. But you can also get the Nacho Libre, a pizza loaded with tortilla chips, guacamole and sour cream. You can also get the Fried Chicken and Waffle, a pizza lathered in maple syrup. And while pizza purists may wince at the novelty toppings, the unique party atmosphere at Crazy Pedro's means that this place is either already your favourite pizza joint, or it's about to be. Just don't turn up expecting a quiet night. It might not be the most famous pizza oven in Manchester. But it's definitely the most glamorous. Home to an incredible mirror-ball pizza oven that scorches your dinner in style, PLY have been delivering some of the tastiest sourdough pizzas in Manchester for awhile now. 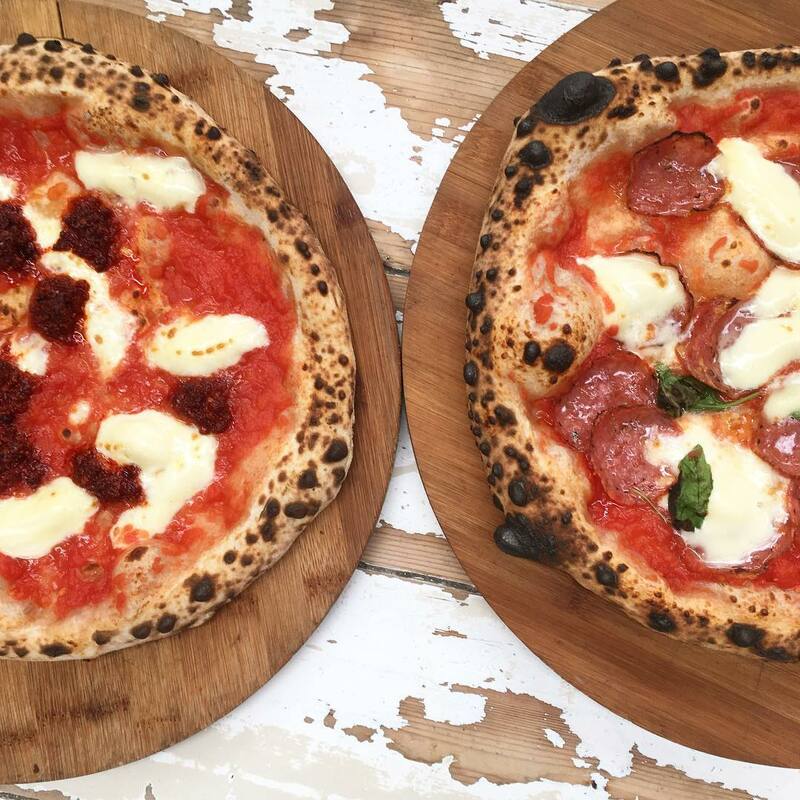 Situated in the heart of the Northern Quarter, PLY cater for every dietary, have one of the best 'Nduja pizzas you've ever tasted and when it comes to the drinks they're definitely winning hands down. Offering an ever-changing range of craft beers, you can't go wrong with a pint and a slice at PLY. Despite being regarded as one of the best Italian restaurants in Manchester, Salvi's was far too often overlooked when it came to their pizza. Even the family behind the independent restaurant realised this. 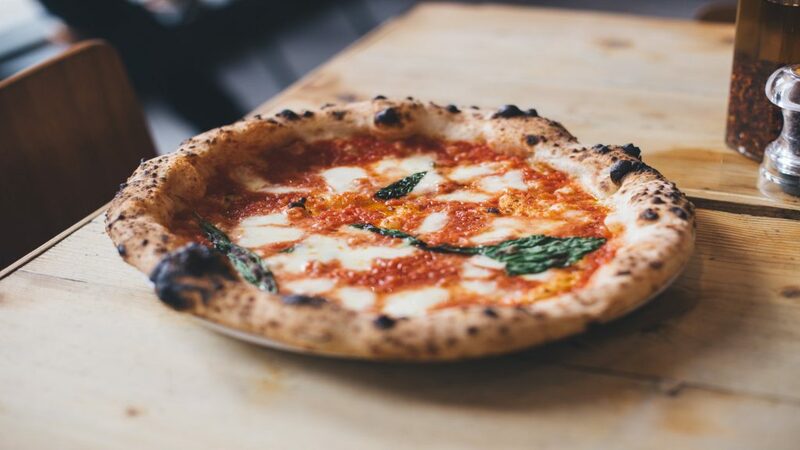 So they rebranded their John Dalston Street restaurant to become Salvi's Pizzeria Napoletana, finally giving their pizza the attention it deserves. And boy is it good. Everything at Salvi's is about Italian tradition. From the dough being prepared in the Neapolitan way to ingredients being flown in weekly from Italy, Salvi's is Manchester's closest thing to the tiny pizzeria's of Naples. With so many new pizza places opening up all the time, Croma feels like part of the furniture on the Manchester restaurant scene. 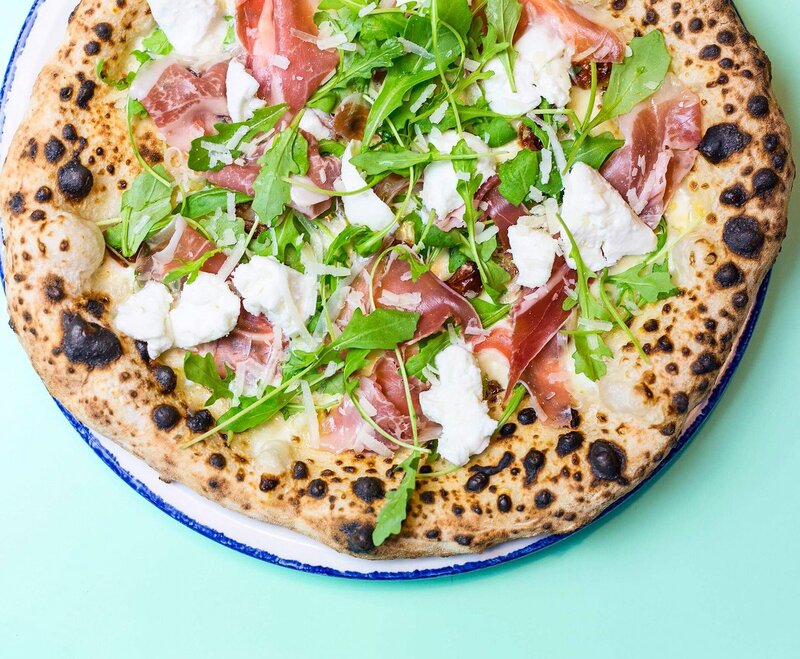 The original Croma, located a dough ball's throw from Albert Square, has been kneading pizzas since 2000 and for good reason - they serve up some of the best pizza in Manchester. It's that simple. And with a menu list as long as your arm offering classic pizzas, gourmet ones and Croma's original takes, you'll want to come back again and again. But if you can only go once? Treat yourself to the Chorizo Piccante. The fresh green chillies, chorizo and jalapeños make for a fiery mix, but it's definitely worth a few lip tingles. And the best part? 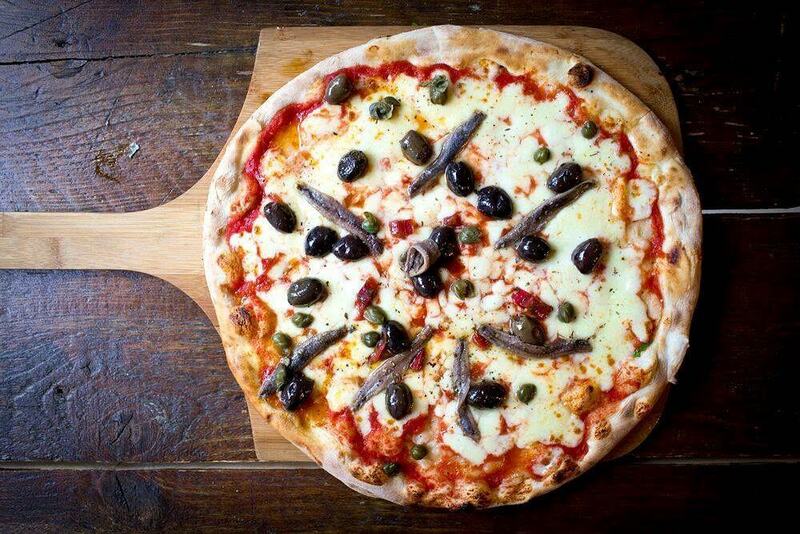 You can order Croma's delicious pizzas straight to your office with City Pantry. Check our their menu here. 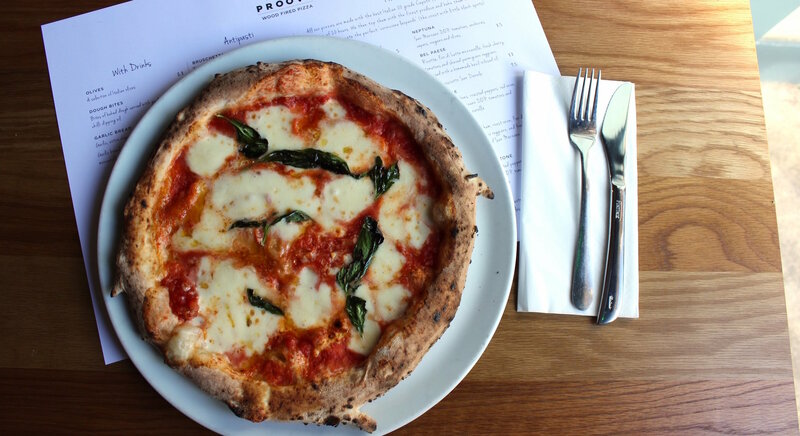 Founded in Sheffield and now based in West Didsbury, Proove may be the new kid on the pizza block, but it's already drawing in crowds making the trip from the city centre. Using the freshest ingredients and opting for classic toppings, this is pizza that would most definitely get the green light in Naples. If you want a top tip from the experts? Fight all your inventive instincts and settle for the margherita at Proove. With Italian cherry tomatoes and fior di latte mozzarella, this pizza is proof you don't need to create new combinations when you can get the classics just right. Named after the grain of Italian flour used in their dough, Chorlton's favourite pizza place is fast becoming Manchester's favourite too. With a range of classic and innovative toppings, the option to mix and match, plus an extremely popular BYOB policy, Double Zero really knows how to attract the crowds of Chorlton and beyond. Be warned though, as one of Chorlton's best loved places, this joint gets busy so booking is advised by us. If you're just looking for an on-the-go snack or can't quite stomach an entire pizza, Slice have got you covered. Offering up slices of pizza by the cut from Stevenson Square, the owners of Slice trained in Rome to learn how to make the best pizza and focaccia. And we'd probably say they were top of their class. This takeaway spot has casual outside seating for those summer months, but Slice is really designed for the customer who just wants a slice of Rome on their lunch break. But at just £3 a slice - why stop at one? Hidden down a small alley, it's safe to say this underground gem is not for the pizza purists. Manchester's best loved gourmet hot dog joint, Dogs 'n' Dough are just as notorious for their pizza toppings. 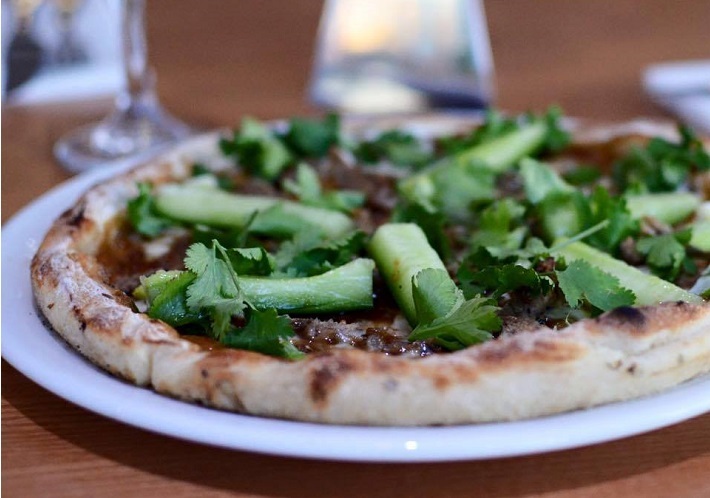 Generous, frequently meaty and always a little bit mad, this is as original as pizza gets in Manchester. Served in the box, start your Dogs 'n' Dough journey with the Triple Threat, a pizza loaded with bacon, cheeseburgers and fries. Yes, you read that right. 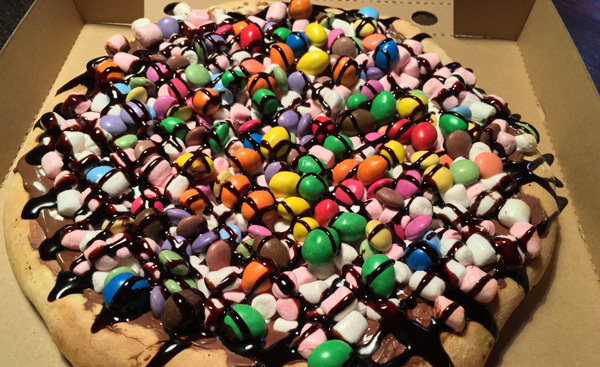 And if you have room for dessert (you won't), it just has to be the Malteasers and Mini Eggs pizza, doesn't it? 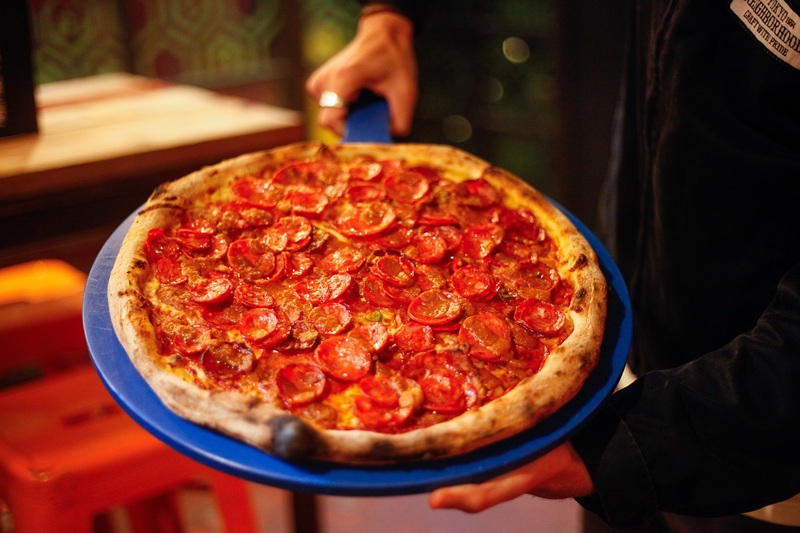 Desperate to try some of Manchester's best pizza now? How about bringing it into your office too? We're City Pantry, and we're coming to Manchester in February to deliver the best pizza restaurants straight to your office. So if you want your office tucking into the best restaurants in Manchester - simply register your interest below.